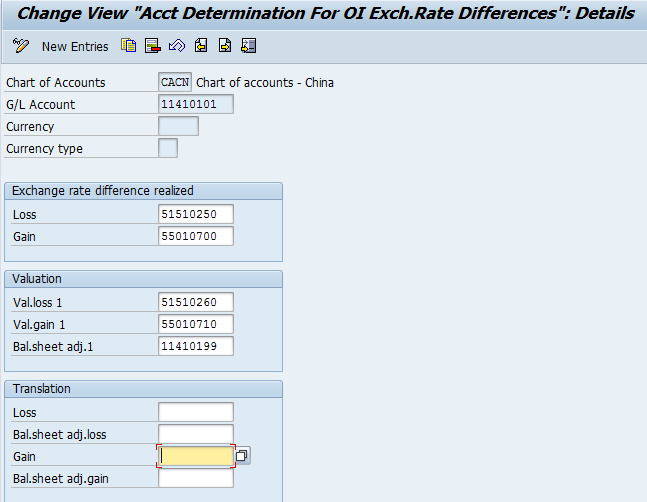 In this SAP FI tutorial, we will talk about SAP exchange rates in SAP Financial Accounting. 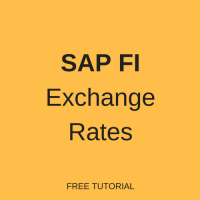 You will learn what is an exchange rate in SAP FI and what are the configuration steps for foreign currency valuation in SAP system. We will mention the SAP transactions and tables that are relevant for this process. SAP exchange rates are to be maintained to allow transactions in other than the company code currency or to book foreign currency transactions and update values in parallel currencies in the New G/L accounting. A company code currency is INR but it purchased material in USD currency, so in this case first translation ratios are to be maintained for INR/USD and USD/INR combination. After that SAP system will allow to specify an exchange rate against INR/USD and USD/INR combinations. Exchange rates fluctuate every day and for this reason exchange rates are to be maintained on a daily basis. In the real time scenario, an organization receives a daily exchange rate file through banks or third party team that uploads it to the SAP system. In New GL accounting, SAP has provided a functionality called parallel accounting, i.e. for a company code an additional two parallel currencies can be maintained. With the help of the exchange rate the SAP system will update values in additional currencies so it is helpful for management to view different reports at company code currency and group currencies levels. To prepare financial statements of an organization the foreign currency valuation is to be performed. Through this step foreign currency transactions will convert to company code currency and exchange rate loss or gain will be determined. It is possible to reverse foreign currency postings. It is necessary to define the valuation approach to perform foreign currency valuation for open items and balances. A valuation area is necessary to report different valuation approaches and post to different accounts. 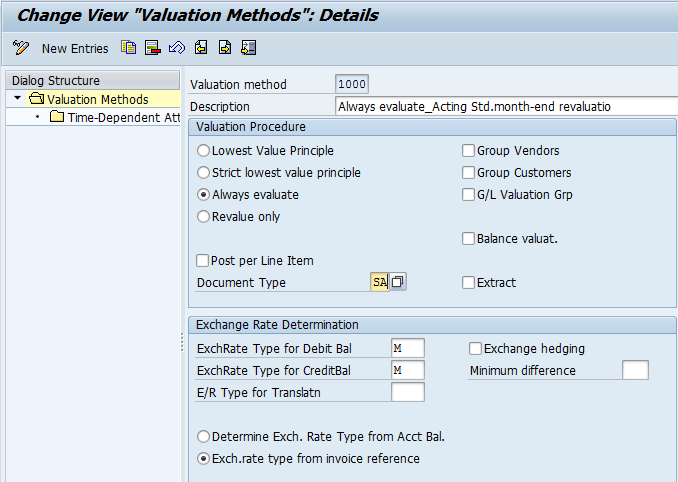 It is assigned to a valuation method. A ledger group will be assigned to an accounting principle. For example, the accounting principle GAAP is assigned to the leading ledger Z2. An accounting principle needs to be assigned to a valuation area. Here G/L accounts need to be maintained to post exchange rate gain or loss for each G/L account. Thank you for pointing out these typos! We’ve updated the tutorial. why two loss and gain GLs what is the difference? I think the transaction code as mentioned in this post for maintenance of exchange rate should be OB08 and not OBB8. OBB8 is for maintenance of payment terms. Thanks for spotting this error! We’ve updated the tutorial.